By Leah King | October 16, 2013. 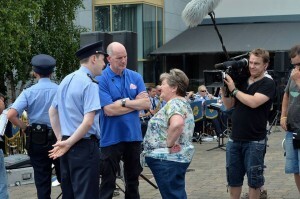 The streets of the Liberties grasped their moment of fame last month, as they featured on the hit television programme, ‘The Secret Millionaire’, reports Leah King. The RTÉ programme, aired on 16 September, featuring businesswoman, Margaret Farrelly, of Clonarn Clover– Ireland’s largest independent supplier of free range eggs, as she travelled to the area in hope of finding worthy charities to work with and support. 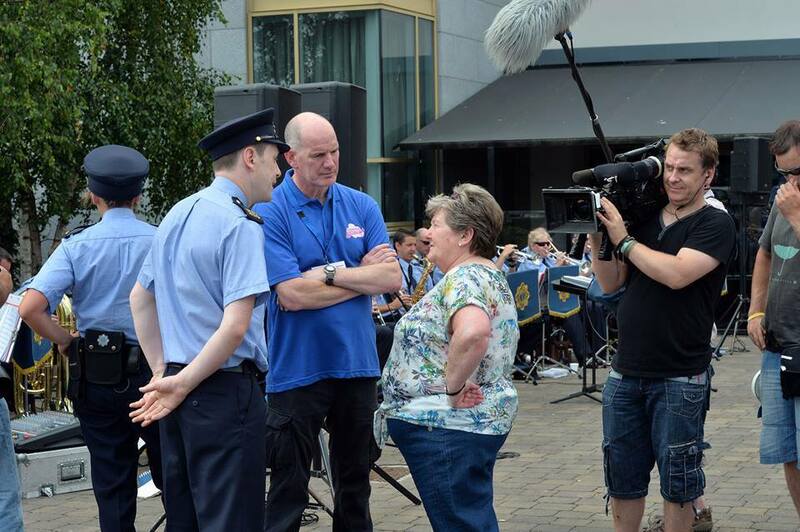 The episode saw the Cavan businesswoman work with the community centre at Nicholas of Myra of Francis Street Parish; the support group Fathers of Addicts and Ireland’s only disabled choir, Music Matters. Margaret also supported Aoibheann’s Pink Tie, a cancer support group set up by Jimmy Norman after he lost his daughter Aoibheann to a rare form of childhood cancer. “I set up the charity because while I was in Crumlin with Aoibheann I saw the need for parents in the hospital to have practical support,” said Jimmy. Margaret could closely relate to this charity as she lost her sister to cancer at the age of 18 and seen first hand the impact cancer can have on the whole family. Margaret donated €25,000 to Aoibheann’s Pink Tie, when the programme was filmed in July, and according to Jimmy, that money has already been used. “Aoibheann’s Pink Tie will probably donate over €140,000 to families in Ireland this year alone in practical support, such as paying an electricity [bill] or money for petrol to get to and from the hospital, respite weekends for the kids, coffee mornings for the parents, and we also give the children princess dresses which are from Kidz Bit’z,” Jimmy said. “For me the €25,000 we gave to Aoibheann’s Pink Tie was only a drop in the ocean as to what their needs would be,” said Margaret. Margaret also guided and supported two other local charities, which are both located in Francis Street Parish in Carmen Hall. The first charity was a community centre under huge financial pressure, which gives daily lunches to the needy for just 80c a day and the second beneficiary was Fathers of Addicts, a men’s group which helps fathers of drug addicts. Unlike Aoibheann’s Pink Tie, both of these charities were far from Margaret’s comfort zone, yet she realised the immense effort put in to what they do. Margaret donated €7,500 to the community centre to help ease their financial pressure. During filming, Margaret listened to the men from Fathers of Addicts tell stories about how their children’s addictions have affected them and watched as they reenacted drama pieces about their past experiences. “I would have never understood before what happens in the lives of the family where addiction is a scourge, if it wasn’t for these men,” Margaret said. She was also deeply impressed by the contribution that Music Matters, run by Grainne O’ Grady, makes to the community and for that reason she donated €7,500 to them. This charity allows people with disabilities to interact with others and express themselves through the medium of music. “Gráinne gave these people a way of expressing themselves and enjoying themselves, that would not exist if it were not for her,” she said. Below is an extract of the show on RTE.